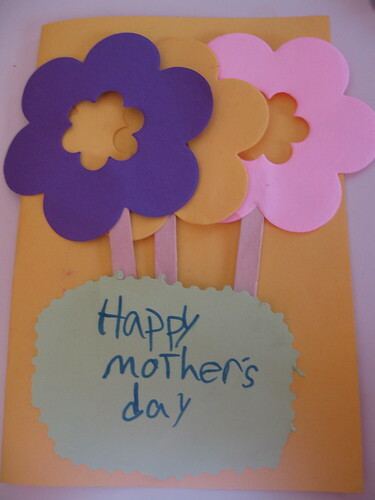 Today, we celebrate Mother's Day in the US. 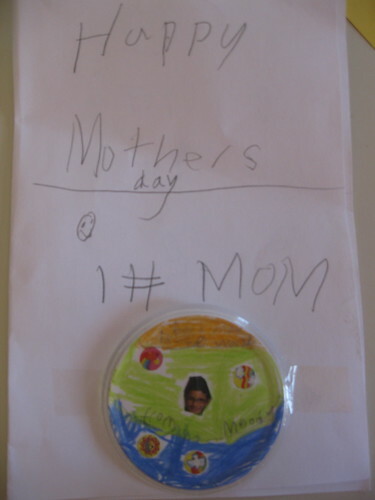 Tala tucked the above card under the door at 6:30 this morning. Then she helped made my bed, her bed and Moody's. She said she didn't want me to do anything today. Moody gave me the above card last night. It has a pin button with his picture on it, which I'm wearing now. 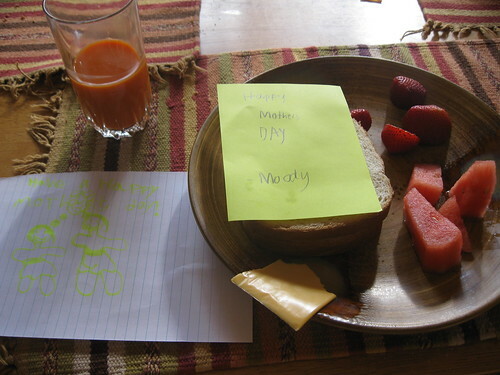 Then Moody and Tala--all by themselves--made me a surprise lunch. Cheese and carrot sandwich, watermelon, strawberries, and carrot juice. They also had notes with it. It was so touching and sweet of them to think this way at this age. I also got my favorite flowers, oriental lilies, and a sweet card from Sol. He's running around now getting things for the BBQ tonight. I'm having a wonderful day even though I'm still recovering from chemo.